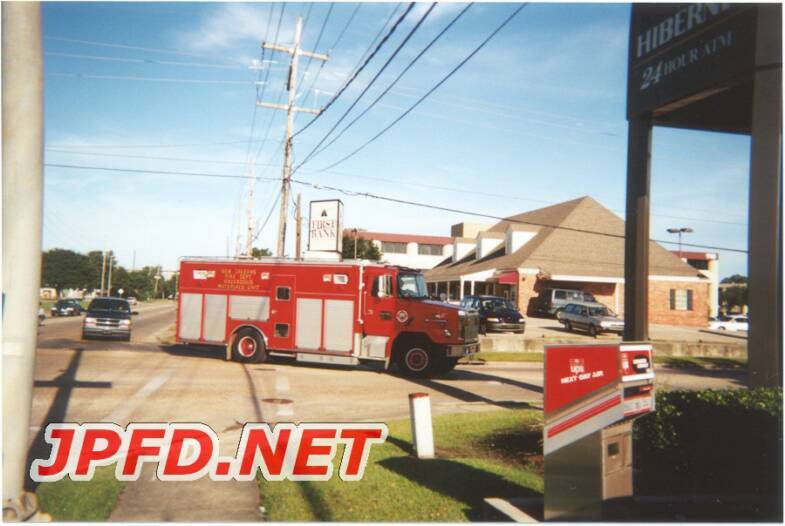 On Friday 10/12, E198, HM-10, and DC 160 (B) were called to the Hibernia National Bank on the corner of Elmwood park Blvd. and Mounes. 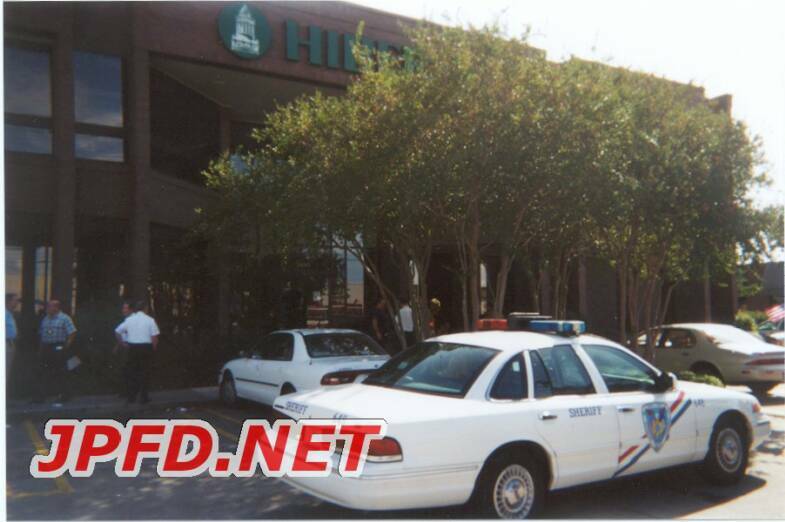 Bank employees saw a man walk in and dump an unknown white powder onto the bank floor. 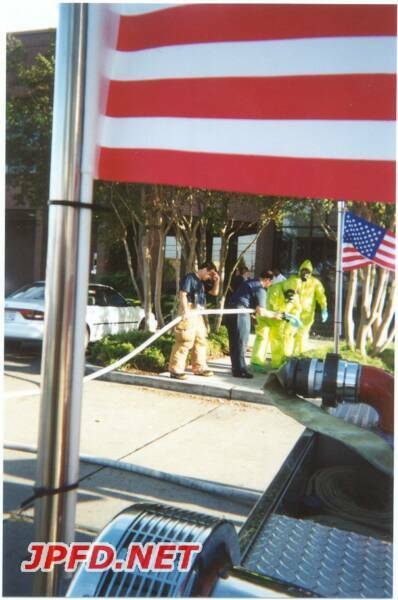 Members of the FBI, FEMA, Louisiana State Police, the JPFD Superintendent, the JPFD P.I.O., top brass from the JP Sheriff's Office, a JPSO LASER member,the New Orleans FD Haz-Mat Unit, and the N.O. Special Operations Chief were all called to the scene in order to determine what the powder was. After many tests were conducted, officials concluded that the substance was not anthrax. This was the first call for the JPFD, and many false calls have been answered since then.